Looking for smart ways to save water? Studies show that an average of 14 percent of your household’s water usage is from leaks! Having leaks fixed in your faucets and toiletswill help cut down on water unnecessary water usage, and save you money. Another good idea is to switch to low-flow fixtures and an ENERGY STAR rated clothes washer and dishwasher. Up to 25% of your home’s energy bill come from hot water heating, so saving water also saves you money! Call BZ Dependabletoday to find out more smart ways to save water and save money. Posted in Plumbing | Comments Off on SAVE WATER! BIOSMART DRAIN MAID: UNCLOG DRAINS THE SAFE WAY! BioSmart is the only drain cleaner that is approved by the Environmental Protection Agency. This all natural enzyme system is safe for your family, pets, and pipes. Is there a foul smell coming from your drain? Does your shower backup and take forever to drain well? BioSmart gets to work immediately, attacking and breaking up organic waste. Use BioSmart on a regular preventative basis to treat drains and ensure a well functioning septic system. BioSmart’s Drain Maid is fast acting, easy to use, all natural, and cost effective. 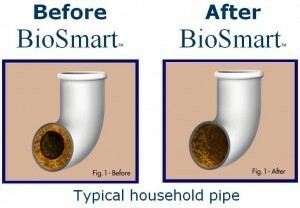 Contact BZ Dependable to purchase BioSmart Drain Maid exclusively in Bergen County and the surrounding NJ area. BZ Dependable also offers video pipe inspection, drain and sewer maintenance, and many other service. Posted in Plumbing | Comments Off on BIOSMART DRAIN MAID: UNCLOG DRAINS THE SAFE WAY! HAVE YOU HAD YOUR WATER TESTED? 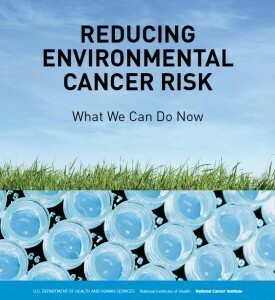 Read the full report and contact BZ Dependable to schedule you water test today and find out how to protect your family from dangerous chemicals found in the water in your home. Posted in Plumbing | Comments Off on HAVE YOU HAD YOUR WATER TESTED?